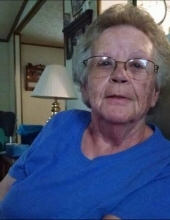 Mrs. Mary N. Perkins age 75 passed away at her home in Fort Mill on January 30, 2019. A Celebration of Life Memorial will be held on Friday, February 1, 2019 at 2:00 PM from the Trinity Baptist Church, 1519 Steel Hill Road, Van Wyck, SC 29744. The Family will receive friends on Thursday, January 31, 2019 from 4-6 @ the home 4336 Dobys Bridge Road, Fort Mill, SC. and following the service at church. To send flowers or a remembrance gift to the family of Mary N Perkins, please visit our Tribute Store. "Email Address" would like to share the life celebration of Mary N Perkins. Click on the "link" to go to share a favorite memory or leave a condolence message for the family.